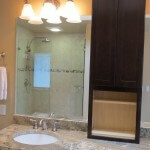 This is a recently completed bathroom in Sammamish Washington. 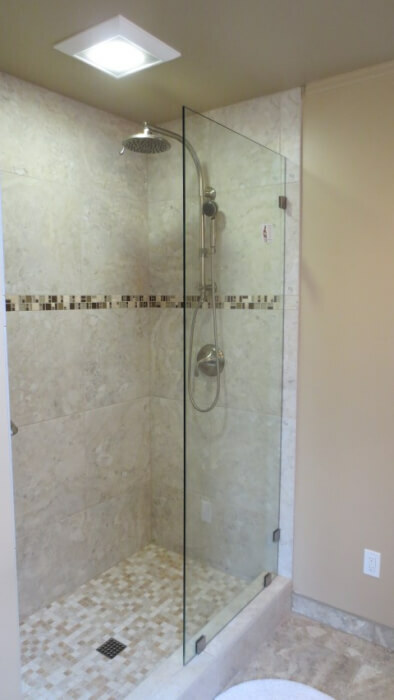 The bathroom finishes were outdated and the shower started to have some water damage and leaking issues, but because of having bad contractor experiences in the past, the clients were reluctant to start in on a remodel. Although I came recommended by a friend of theirs whom I had done some work for they were still very diligent in interviewing multiple contractors and asking a lot of questions. 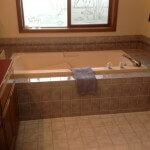 Even after they decided on a contractor, they did a lot of research and were careful in selecting the components and finishes in their bathroom. Remodeling wasn’t something they were excited about doing but if they were going to go through with it they wanted to get it right. 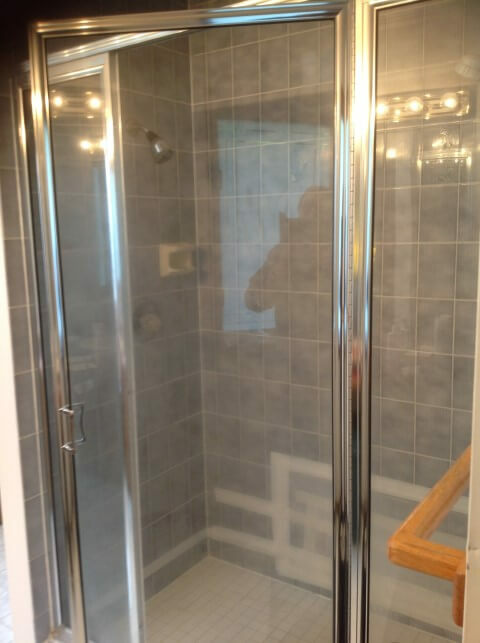 The old shower tile was installed over green board and once water started to get in through some cracked grout joints the damage was done. The wall board will swell and expand and make things worse. 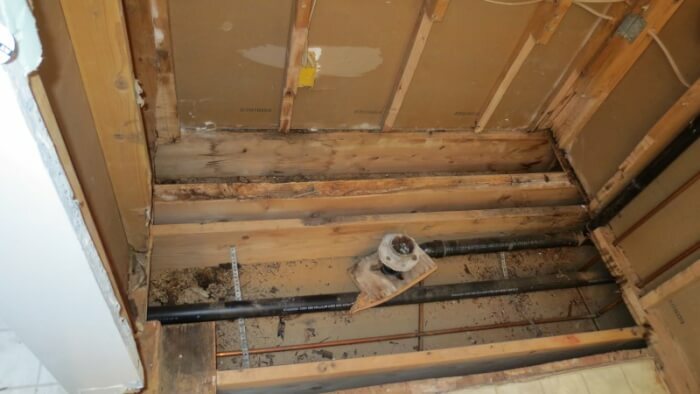 The shower had been repaired and the homeowners kept things in good condition but this had the effect of disguising what was going on behind the scenes. When the walls were opened up it showed that the damage to the framing and structure was extensive. 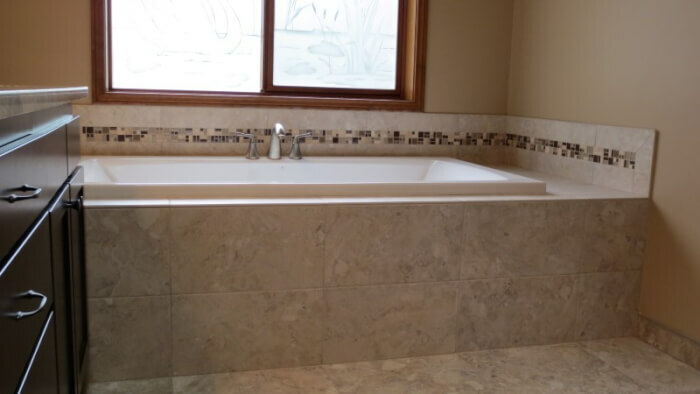 The clients chose large format 20×20 tiles to be installed throughout the bathroom with a glass/stone mix mosaic as an accent in the shower and the tub back splash. 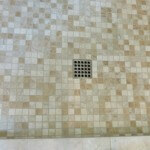 The new shower liner was flood tested for leaks before moving forward with the tile installation. A moisture barrier and cement board were installed on the walls as per code and will be a much sounder longer lasting installation than what they had before. Tile floor with tile floor base. 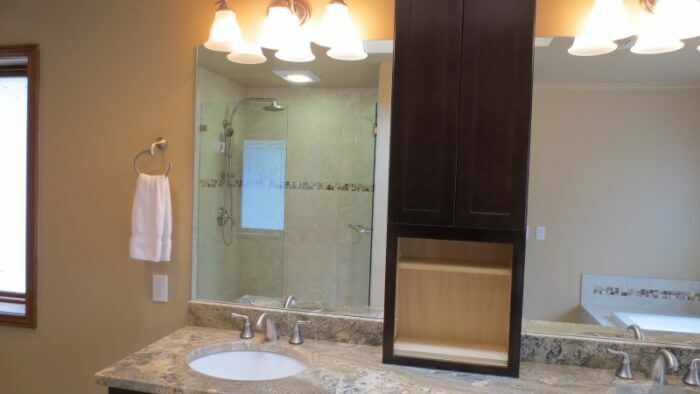 In addition to the tile, a new vanity with granite counter, tub and plumbing fixtures, lighting, and paint were added to make it a complete bathroom rennovation. 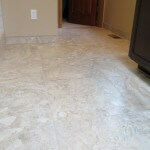 Heated tile floors: Everyone loves floor heat but the price tag drives many people away. In addition to the heat wires, labor, and programmable thermostat you have to consider the cost (in many cases) to have an electrician run another circuit from the electrical panel. 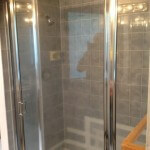 A surface waterproofing system for the shower: I strongly believe that this method of waterproofing is superior to the more traditional way of constructing a shower. 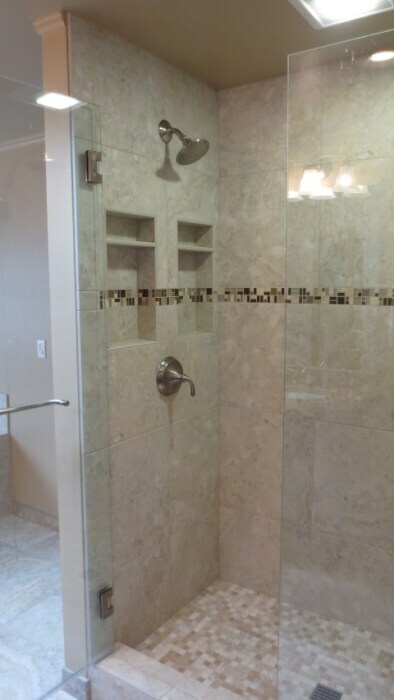 However, a traditional method, done correctly, is not only an approved Tile Council of North America method (TCNA) but is a long lasting tried-and-true way of building showers. 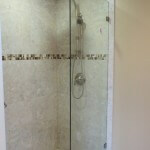 Hence Schluter Kerdi was scrapped in favor of the more economical shower pan liner & behind the wall moisture barrier. 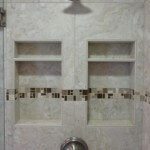 Two recessed shampoo niches with shelves: We had a lot of talks about these so that they would serve this customers needs. We made them tall enough to put shelves in and give them two compartments per niche. Also we located them on the end wall which made them as out-of-site as possible. This also made it so that they could not be see in the bathroom mirror when you walk in the room. 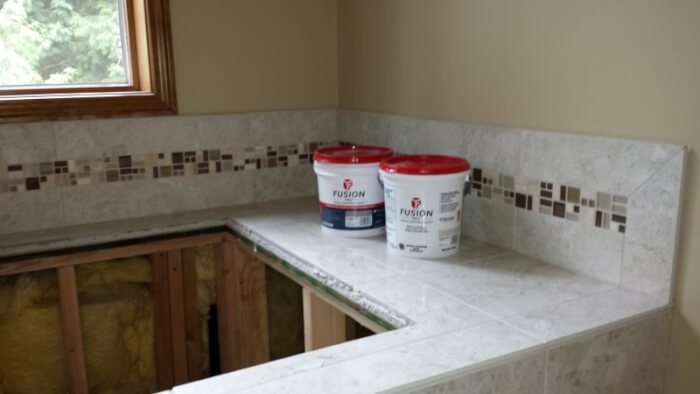 Stain-proof grout: The customer was tired of dealing with all the grout joints so they chose large format tile and went with Custom Fusion Pro single component grout. 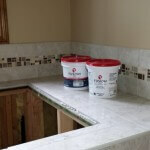 Although it’s technically not a urethane it competes with other urethane grouts such as Quartlock2, Dimension, and Tru-color. 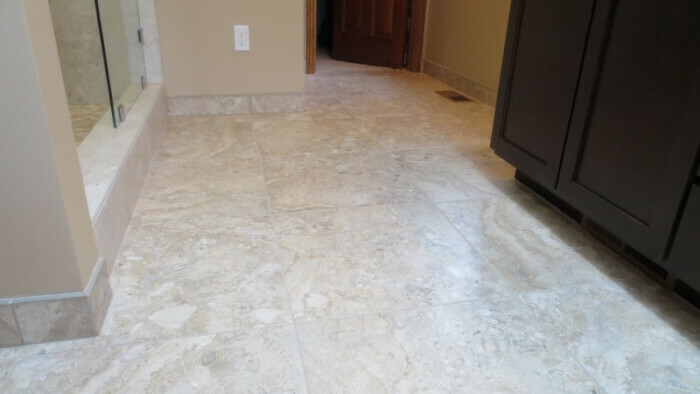 These are the top-of-the-line grouts that are currently available and advertise themselves as being stain-proof. Fusion is not cement based so the color won’t fade over time and it doesn’t have to be re-sealed every year like cement grouts do. Ebbe drain: This isn’t a big ticket upgrade but the Ebbe drains are well thought out. 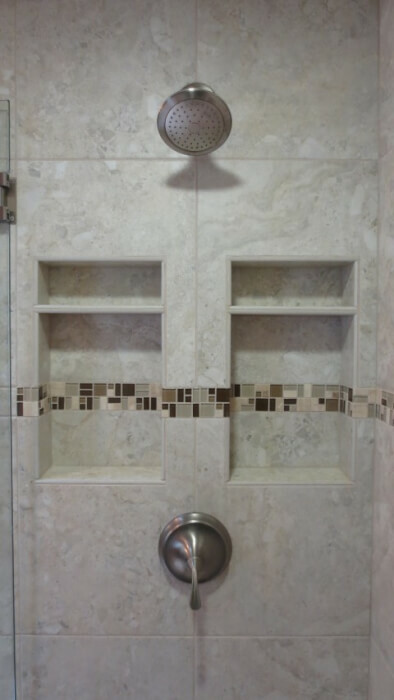 The covers are easy to remove (no screws), they come with a built in hair trap, and you can get them in a variety of finishes to match your other shower fixtures. 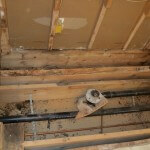 These are an easy upgrade over the typical drain you get at the plumbing store. 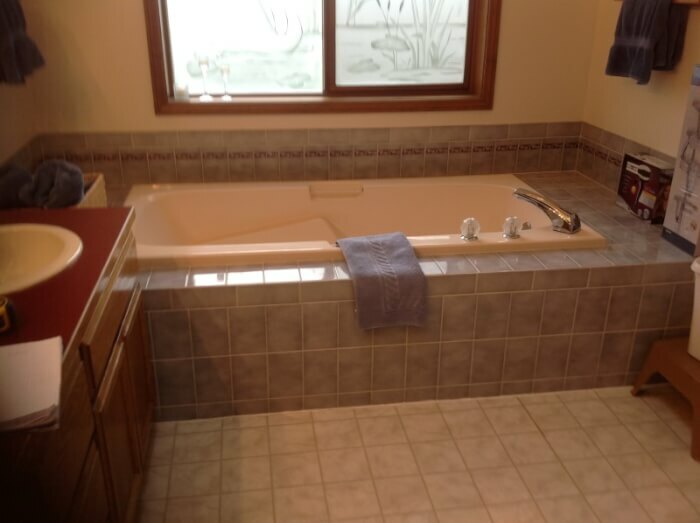 Ultimately, this bathroom turned out well and serves the customers needs. It was built the way that they wanted and was within their budget. They’ve left me positive reviews online and are already planning their next bathroom.